Mrs Lum Hing Kin Ung passed away peacefully on 12 July 2016. Beloved wife of (Sue Heen Ung). Adored mother of Nancy, Julia, Alan and Warren. 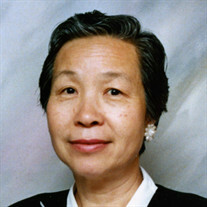 The family of Mrs Lum Hing Kin Ung created this Life Tributes page to make it easy to share your memories.